Paris, the Caribbean islands, Venice…these sought-after regions are widely considered to be amongst the world’s most romantic places. When it comes to dreamy destinations, do you want a location surrounded by natural beauty? Or are you a luxury-enthusiast who craves a holiday in a chic hotel or resort where you can get pampered? To help you come to a decision, in this article, we share some romantic places in USA and Europe. Our selection shines a light on other romantic destinations. These places may not be as popular for romance as their counterparts, but they offer great attractions for couples. These recommendations will help you narrow where you and your partner travel for Valentine’s Day, or any other time of the year. Some of these places come highly recommended by couples in our travel community. So don’t say we don’t go the extra mile for you! Are you looking for an escape to break the routine of daily life? If you and your loved one are in need of some romance and relaxation, you don’t need to look further than America. Romantic getaways in the USA can provide the perfect backdrop for your much needed vacation. What do ‘Harry Met Sally, ‘Serendipity’ and ‘Maid in Manhattan’ have in common? They are all romantic comedies that were set in New York. 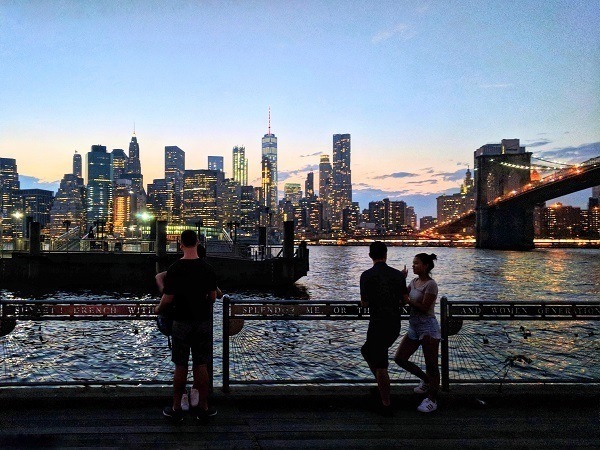 Travel bloggers, Lynn and Justin of Mad Hatters NYC, believe that New York is an ideal place for romance as it’s a city with infinite possibilities. The Big Apple may house over 8 million people, but its landmarks and hidden spots create opportunities for magical and intimate moments. Take a stroll along the Brooklyn Bridge and enjoy the breathtaking view. Planning to pop the question during your trip? The Brooklyn Bridge is renowned for being a romantic destination in the USA and has been the backdrop for many a marriage proposal. For low-key fun, Lynn and Justin advise couples to “catch a movie at a boutique cinema like Metrograph. The choice of films and concessions are next-level, and you can cozy up in a dark theater for a couple of hours”. To feel like a local, foodies should seek out subterranean restaurants like La Esquina. Its secret entrance leads you through the kitchen to get to the basement dining room. Check out Tokyo Record Bar where a DJ spins musical selections for guests while they sit through a 7-course Izakaya tasting menu. “Hop onto a sailboat and enjoy the magnificent skyline as you sip on some bubbly. If you get a little chilly from the breeze, most cruises offer cozy blankets you can wrap yourselves in—what could be more romantic than that”? 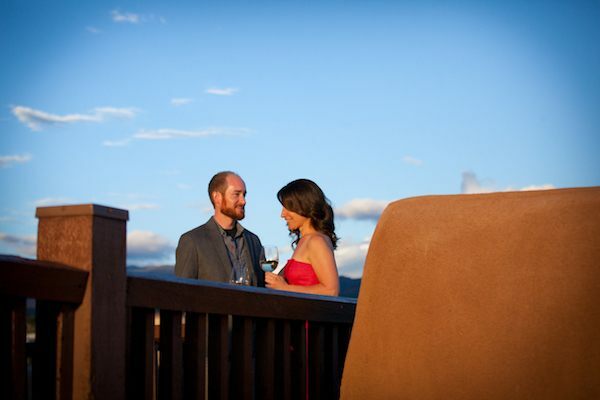 When counting the most romantic places in the world, Santa Fe, New Mexico should be on your list. PR Manager, Joanna Hudson, believes the city has everything a couple could want. Its charming landscape, stunning architecture and narrow streets with trails that date back to the 17th-century provide a perfect location for lovers who are keen to explore. Satisfy your sweet tooth by visiting Kawaka Chocolate House. Sharing a cup of their “Tonantzin” chocolate elixir (an herbal aphrodisiac said to flame the passions within), should be on any Santa Fe romance itinerary. Couples can even purchase a box of Aphrodite Truffles, which were inspired by the Love Goddess herself, to enjoy with a glass of wine or champagne back in their rooms. For a unique dining experience, the restaurant at Ten Thousand Waves (a Japanese style bath/spa) allows couples to go to dinner in their kimono robes after a soothing afternoon of spa treatments, sauna, and hot tub soaking. Art lovers should visit the numerous galleries concentrated along a half-mile stretch on Canyon Road. Choosing a piece of artwork with your partner is one way to commemorate your romantic getaway. Culture vultures and wine connoisseurs should travel to the birthplace of wine in California, Sonoma Valley. Couples flock to this romantic destination in the US because it has some of the best wine in the world and offers a serene landscape. Take full advantage of the good weather by embarking on romantic wine tours through the Valley with your loved one. 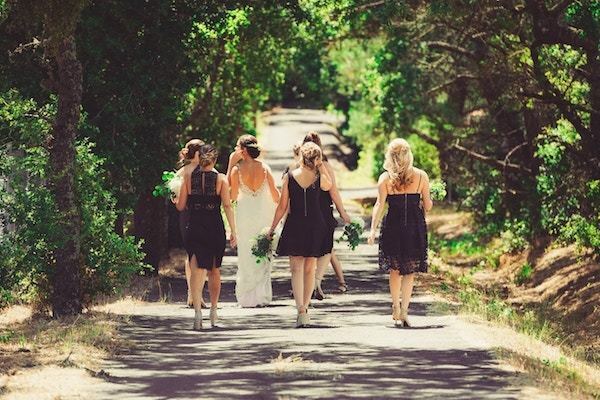 Or, to fully enjoy Sonoma Valley’s picturesque landscape, go biking along its scenic roads. In addition to the myriad wineries, Sonoma Valley is home to many remarkable restaurants. With cuisine choices that include farm-to-table dining from its bountiful gardens, Tuscan country cooking, oysters on the half shell or hand-crafted bites – you’re bound to be spoilt for choice. Europe is home to romantic destinations that are ideal for spicing up your relationship. Cities like London and Barcelona have a great balance of a vibrancy, culture and choice spots for memorable intimate moments. Whether you are celebrating Valentine’s Day, your honeymoon, wedding anniversary or craving a romantic getaway – our curated selection will give you great romantic destination ideas. If you’ve never travelled to Europe, we wrote a helpful guide on how to plan a trip to Europe. From how to thrive on a budget to the cheapest time to buy your ticket – this article will ensure you get the most out of your European trip. Looking for a place to escape the humdrum of everyday life? 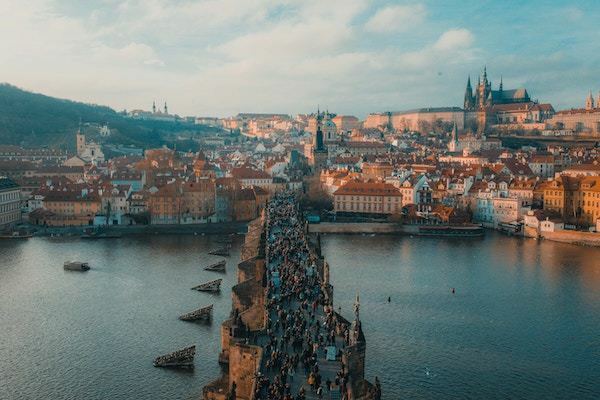 Travel blogger, Veronika Primm, considers Prague as one of the most romantic destinations in the world. Her advice is to venture off the main tourist paths and walk along the narrow streets of Prague’s Old Town. Take a relaxed walk through the Old Town of Prague and feast your eyes on the baroque and gothic architecture. For one of the most authentic romantic walks with your loved one, Veronika urges couples to visit the area called the New World (Nový svět). It’s just a stone’s throw away from Prague Castle, and remains one of Prague’s best kept secrets. She adds that,”the New World features old houses and quiet cobblestoned streets. It’s also where you can find one of the most charming and romantic hotels I’ve ever seen – U Raka, which means, “By the Crayfish”. “Sightseeing, beaches, good weather, bars – this can make your day a perfect one”. Lose yourself through the medieval yet trendy streets of the Born district, and enjoy the sunset by the Carmel Bunkers that oversees the beautiful city from above. 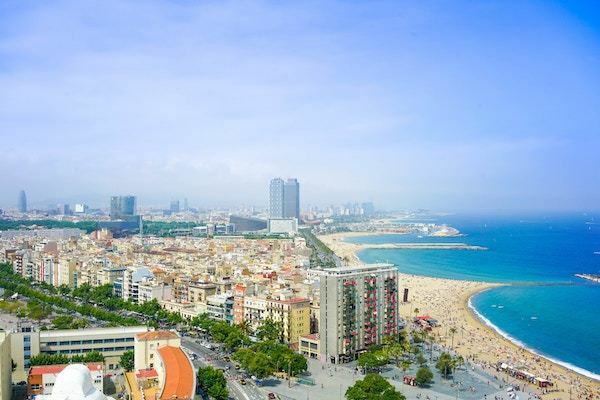 Travel expert Marina Manasyan from Barcelona Eat Local Food Tours, believes Barcelona and especially its capital – Catalonia – is one of the most romantic places because of Antoni Gaudí’s architectural influence. Antoni Gaudí was a talented architect and is considered the pioneer of Catalan Modernism. Couples will enjoy being surrounded by awesome buildings and stunning interIors inspired by Gaudí’s fusion of Art Nouveau style, neo-Gothic art, and Oriental techniques. Marina also recommends couples looking for a romantic experience, to join a live concert that includes a glass of wine or Cava at La Pedrera rooftop (one of Gaudí’s masterpieces). Travel enthusiast, Marcos Clowes, has been lucky to have travelled to popular cities like Rome, Paris, Amsterdam, and London with his girlfriend. 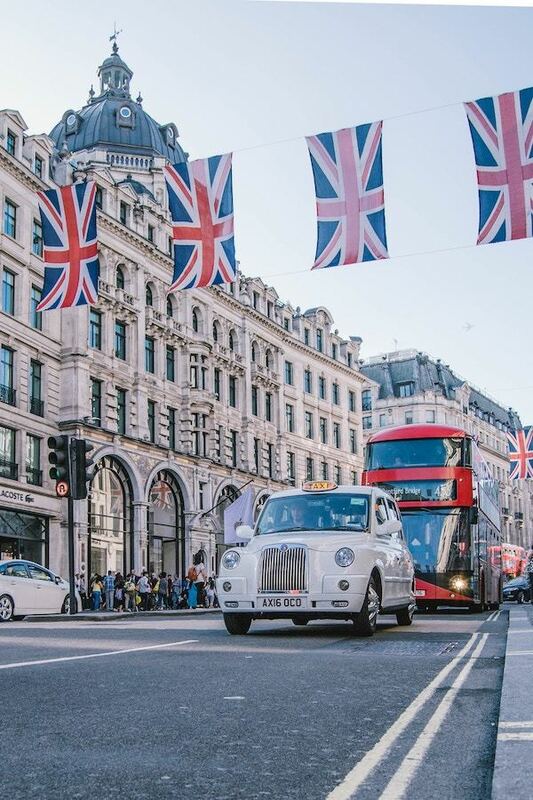 He claims that from that list, London is the most romantic destination. So much so that they returned 4 times last year. “London has beautiful architecture, an amazing heritage, many huge parks, friendly bars and diverse restaurants”. Although London is known to burn through one’s wallet, there are fun budget-friendly activities couples can do. When the weather’s good, cycle through Hyde Park and take a boat ride on the River Thames. When the weather’s nippy, go ice skating at Somerset House or take a tour around London’s haunted pubs. The post-wedding trip is special as it paves the way for the many vacations to come where you and your partner travel as a married couple. If you are searching for romantic honeymoon destinations – somewhere you can enjoy the company of your partner – read on and be inspired by our ideas. 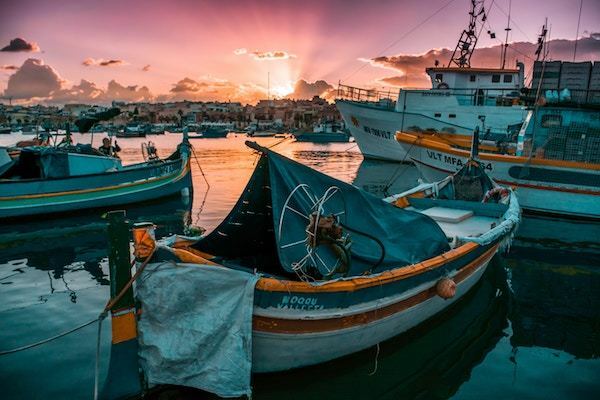 Travel blogger, Sander, is convinced that Malta is one of the most romantic places in Europe. His favorite Maltese island is Gozo which is known for the laid-back attitude of its citizens and its beautiful nature. The coastline of Gozo is lined with several vacated beaches. This means couples can enjoy the sunshine on their skin and the waves crashing against the shore without disturbance. “Gozo’s highlight is situated by the cliffs on Wardija Punic Temple. This happens to be the perfect place to take in a breathtaking sunset with your significant other – because it’s 40 minutes away from any kind of civilization. It will take you an intense hike from the last bus stop to get up to this point, but the view makes it more than worth it”. Gozo is not the only romantic part of Malta, though. In the country’s capital, Valletta, a peaceful stroll along the seafront with its salty rocks should be on your Malta bucket list. Other than that, you’ll definitely enjoy getting lost in the labyrinth of limestone streets in Mdina, which is known among the locals as ’The Silent City’. Ideally, the best romantic honeymoon destinations offer couples a variety of interesting things to do. This is why Key West, Florida continues to be a favourite amongst couples. The town is completely walkable, so you can wander through town, hand in hand, and explore the side streets and appreciate all of the architecture. Got a sweet tooth? Improve your culinary skills at Key West’s, Key Lime Pie cooking class to learn how to make the perfect pie. If you both enjoy water sports, there are many options which include snorkeling, kayaking or paddle boarding. After you’ve tied the knot, Oakley (just east of Salt Lake City) is a scenic city to experience as newlyweds. Content Manager, Roxanne, encourages couples to spice up their honeymoon memories with a dog sledding tour to truly take in the wilderness and picturesque views. “There’s something to be said about reigning the sleigh and stirring it in the right direction, together, just like this new stage of your life”. If you and your partner prefer even more hair-raising activities, have fun while sweeping the untouched meadows from behind the controls of a snowmobile. During this snowmobile tour, speed-lovers and thrill-seekers are sure to love every adrenaline-fuelled second. Remember that idyllic locations are not reserved for couples only. You can go with a beloved family member, a close friend or by yourself. We all deserve to treat ourselves to a nice time. Go somewhere you can unwind and immerse yourself in another culture. This year get inspired by our selection of the most romantic places in the world. Regardless of your relationship status, embark on a new adventure! Remember that even romantic trips can have hitches. Unfortunately, flight mishaps like cancellations occur and can turn your plans upside down. At AirHelp, we are determined to support air passengers. We strive to ensure that travellers are compensated when their travel plans go awry. If you are eligible, we will help you get compensation which can be as much as $700. This means you have the option of putting this money towards another getaway!